The rains came down from 11-12. 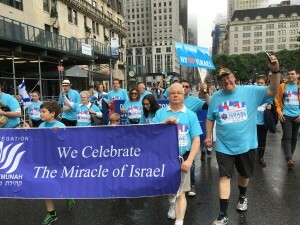 But a courageous group from Shomrei boarded our bus at 12:15 with water, snacks and our light blue 2016 parade t-shirts. 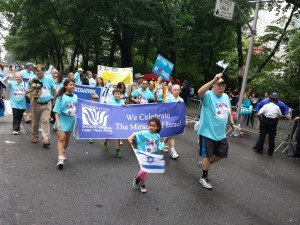 After picking up a group from Congregation Ohev Shalom in South Orange and battling some Lincoln Tunnel traffic, we arrived in time at 2:00 pm on 54th between 5th and 6th, unfurled our banner and stood ready to take our place in the MetroWest Cluster. Shabbat Band Makes Beautiful Music! 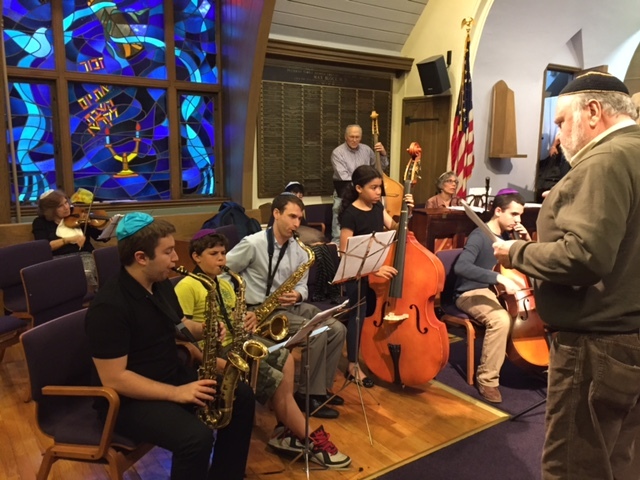 At our special Spotlight Shabbat on Friday, June 5, the Simcha band did not have any trumpets, horns or harps. We praised God with our alto-saxophones, drums, basses, tenor sax, piano, violin and cello. 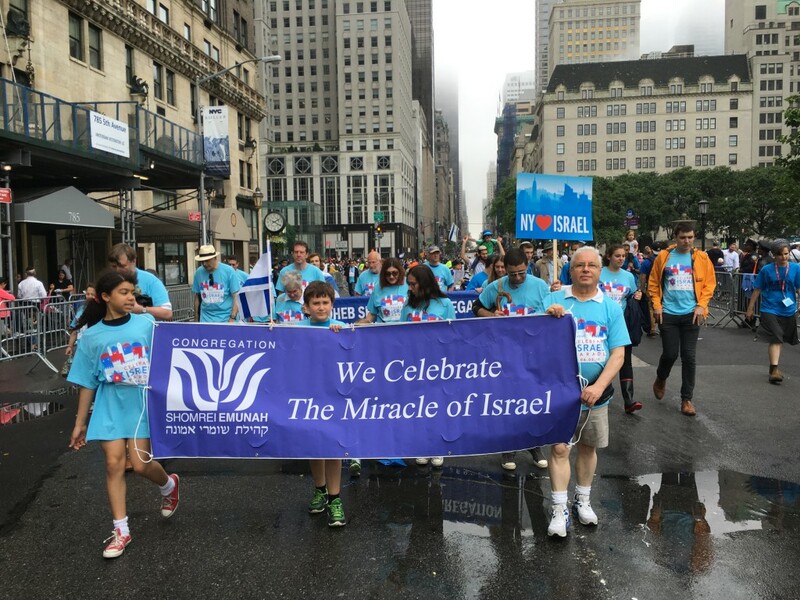 With our joyous music , the “Simcha Band” lived up to its name. 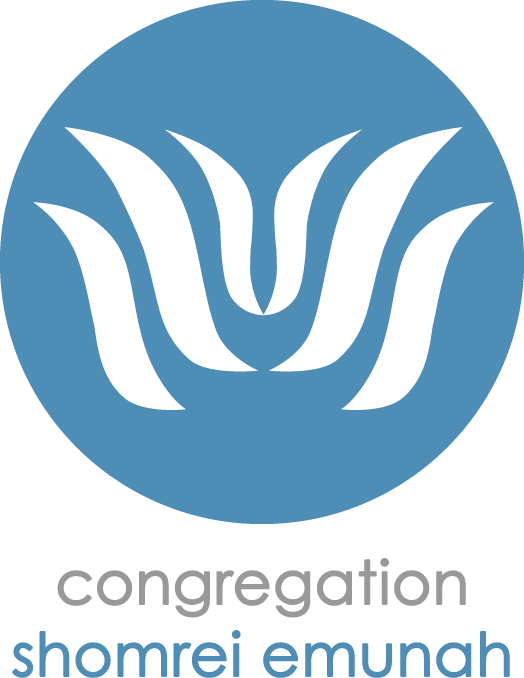 With our musicians from elementary school to middle school, high school, college and in the working world, we lived up to being “multi-generational. “ With Dan Silver joining us for the first time, we were not only multi-generational but were the first mother-son musicians in the band’s five year history. It was only the second night of Chanuka but the Simcha Band lit up the Shomrei Chanuka party as if it were the 8th night. The audience enjoyed listening and dancing to the music as much as the musicians enjoyed playing and singing. 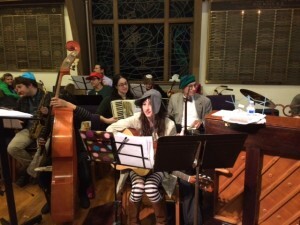 The multi-generational Purim Band set a joyous tone for the evening. 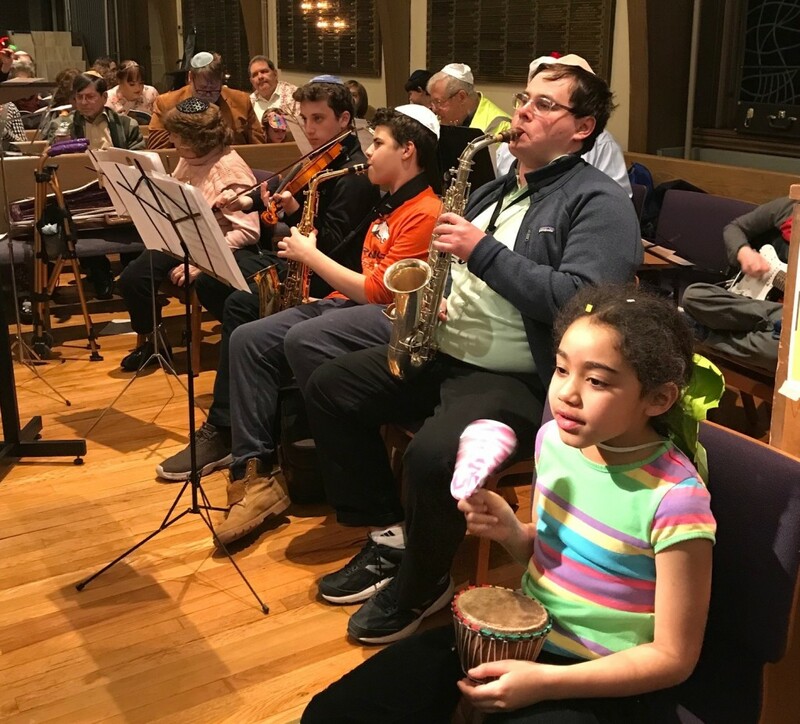 When we hear the first note of the Purim medley which accompanies the costume parade, we know it will be a fun evening.